This article originally appeared in The Dollar Vigilante and was soon after run on ZeroHedge. Gandhi was once asked, “What do you think about Western Civilization?” to which he famously replied “I think it’s a good idea.” He may as well have been talking about free market capitalism. this can be fixed through government management, most notably more taxes and higher minimum wages. There are many other refutations of Capital circulating, most of which address the numerous factual errors and flawed research methodologies in the book, and countering the income equality assertions with observations around how the standard of living generally increases across the board during periods of free(er) market capitalism (such as England during the industrial revolution under the classical gold standard or wider Europe during the High Middle Ages). The age we live in today is not an example of this. I submit that the modern run of standard of living increases, say from end of WWII to present is not an example of “free markets given room to run”, but rather a crack-up boom fuelled by credit expansion (cheap money) and cheap energy. This era is now drawing to a close, as the cost of energy inexorably rises and the global debt super-cycle finally hits a wall. After decades of government targeted inflation, after the better part of a decade of ZIRP, after increased regulations in every aspect of our lives, after civil liberties being for the most part abolished (after all, the government is allowed to assassinate any one of us and we are all under continuous pervasive surveillance) what is difficult to fathom is that political economists can still make hay in the world by blaming its problems on capitalism gone wild and runaway free markets. Put simply, true capitalism requires free markets, free markets require a free society and we do not live in a free society. So let’s do something different here and accept a core premise of Capital, and say that wealth inequality is increasing, and that it’s a bad thing. Where the point is completely missed is in what causes it (ostensibly “free market capitalism”) and what to do about it (increase government control, induce more inflation and raise taxes). The point of this essay is to assert that it is not unchecked capital or runaway free markets that cause increasing wealth inequality, but rather that the underlying monetary system itself is hard-coded by an inner temple of ruling elites in a way which creates that inequality. 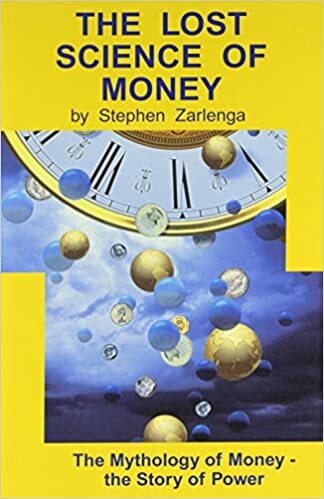 Because the nature of money itself has been so, for lack of a better word, “esotericized”, I need to include Stephen Zarlenga’s seminal work “The Lost Science of Money” in our expose. While Zarlenga blesses us with an exhaustive study of money and banking practices throughout history, and does a superb job deconstructing the perniciousness of central banking and debt based money systems, he erroneously arrives at conclusions favouring direct government creation of fiat money (he even came out in favour of that whole “Trillion Dollar Coin” idea because to him it signalled a tacit admission that the government doesn’t really need the Federal Reserve). However even his arrival at this seemingly (to us) off-base solution tells us something vital about the system within which we are all immersed. This is what it tells us: if smart, scholarly people happen to believe that government fiat money is both feasible and beneficial to society, and they put serious thought into devising such a system, what they will not come up with is one run by private central banks issuing debt-based money. They just won’t. Any critical analysis would grasp that such an architecture would become a parasitic cancer on the entire society. When you realize this, it’s hard not to posit a far-reaching conspiracy to institutionalize inequality. While I am a big believer in the maxim “never ascribe to conspiracy what can be explained by stupidy” it to me falls short in this case. When we look at the structure of the entire monetary system and realize that it’s the worst way possible to design a such a system if you have the best interests of the wider society in mind then you can’t help but ask in whose interests was it designed and implemented? As such, the system within which we find ourselves seems to be one that isn’t designed to be in the best-interest of most of us reading this (and would remain true even if you were inexplicably reading this on Huffington Post, Slate or Business Insider). Here we mean academic political economists with no real world financial, market or business experience devise elegant theories which look good on a blackboard, will earn them Nobel Prizes and become ensconced into the prevailing orthodoxy of conventional economic thought. Governments can then utilize these theories (or self-serving adaptations of them) to justify monetary polices that enable them to live beyond their means or otherwise further their own interests and those of their cronies. These policies are utterly backwards in that they posit what economic forces should do according to some model, instead of trying to understand what they actually do based on observed results. When you do unleash Nobel laureates with their theoretical constructs on the real world, you don’t get “green shoots”, you get LTCM. Even the untouchable pillar of Keynesianism is a bastardized caricature of what Keynes actually said, which was that governments could smooth out the business cycle by deficit spending during bust years by running surpluses during the boom years. In it’s most basic form this just means saving for a rainy day. But governments don’t do that, because (as people like Krugman opine) “the government doesn’t have to pay it’s bills”. Thus, it’s all deficit spending, all the time. The last US president to actually run a surplus and pay down debt was Eisenhower (the so-called Clinton era surpluses were a sleight-of-hand fiction). The last president to pay off the debt was Andrew Jackson. You can look at almost any financial panic, especially over the last hundred years, and you’ll see the same thing play out repeatedly. For example, if you go back and look at the S&L crisis and the policy response to it, one is stricken with the similarities between then and now, how nothing was actually resolved in the policy response to S&L, in fact just the contrary, how bad behaviour and incompetence were rewarded instead of allowed to be punished via free enterprise rules of engagement. poor policy, credit expansion, government management of the economy (i.e. housing bubble) and insulation from consequences by special interests (bankers, etc) leads to a panic. The cycle repeats each time ensuing bubble and subsequent meltdown increasing by an order of magnitude. Which brings us to Vincent LoCascio, probably the most under appreciated commentators on our monetary system of this era. If ever there was a pair of “must” read books about what really causes wealth inequality in our society it is his Special Privilege: How the Monetary Elite Benefit… At Your Expense, and The Monetary Elite vs Gold’s Honest Discipline. LoCascio published Special Privilege in 2001 (he died in 2006), but large swaths of his work could easily be cut and pasted into the aftermath of the Global Financial Crisis and no doubt, will be highly germane during the forthcoming, next crisis. The only difference being that after the next, inevitable (possibly imminent) wave of financial panic, it may be impossible to kick the can down the road yet another time. We may have finally, collectively come to the end of the line on “the great fiat monetization of everything” and be barreling toward the brick wall of unsustainability at the end of the runway. The big question around wealth inequality is this: why does wealth inequality increase as the distance from the nexus of political power increases? Why does wealth concentrate toward the centre? When asked this plainly, the answer becomes just as obvious: because the system is rigged that way. Whether you don’t believe in a classical gold standard (Zarlenga) or you do (LoCascio), whether you think bitcoin is viable or lunacy, where all these schools of thought intersect is at the point that finds private, fractional central banking a blight on civilization that leads to a cronyist oligarchy between banksters, career politicians and corporate/kleptrocrat elites and this is the point that is most vociferously relegated out-of-scope in any kind of dialog around today’s central, pressing issues of the time. What Pikkety has succeeded in is proving that we are not there yet. The propensity of the masses to rally behind this shows that confidence in the system is still long and strong. But what we are seeing are fissures in the logic – not only in books like Capital in the 21st Century but in entirely new and nonsensical economic schools of thought seemingly conjured out of thin air for the sole purpose of justifying and explaining away the otherwise unavoidable distortions and non-sequiturs of our economy (such as Modern Monetary Theory and Modern Monetary Realism – more on those in another post ). People are still very willing to believe in Unicorn Economics, the emergence of crypto-currencies such as bitcoin point to a widening rejection of that, but it will likely not achieve critical mass until the wheels come off the current system altogether.